Alpen diamond drill bit for tiles. Water cooling is required. 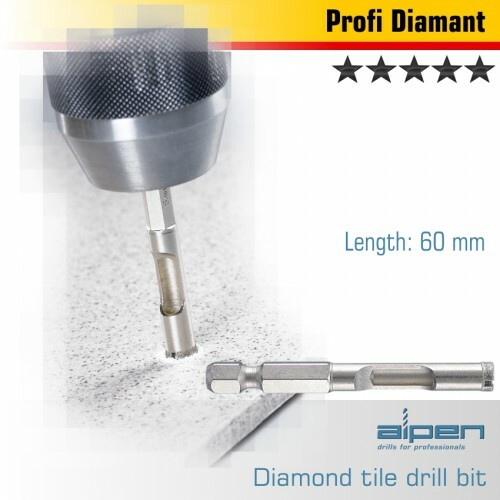 For extremely hard ceramic tiles, extremely hard roofing tiles, marble, granite, glass and porcelain. 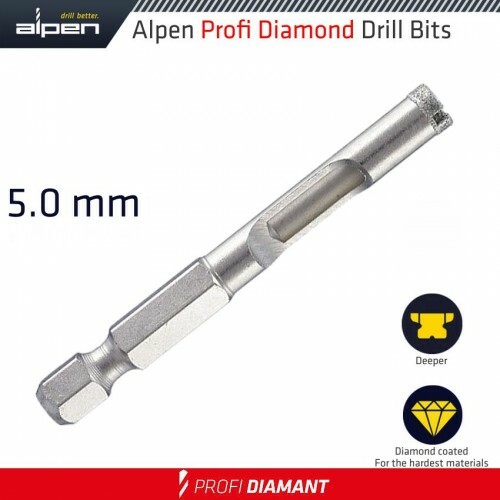 Suitable for any standard cordless drill thanks to its standardized shank profile. Not suitable for percussion drilling. Water cooling highly required.